I'm running Asterisk with Swift and after running for a few hours I get a segfault error on libswift which causes asterisk to close. Has anyone else faced a similar problem or has an idea on how to fix this? 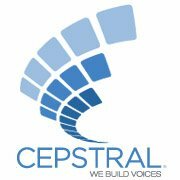 Copyright (C) 2000-2012, Cepstral LLC. It was previously running with only port, which is enough for our current needs. Even so we got another port to make sure that wasn't involved in the error. It persists after the second port was added. > Channel SIP/alcazarnet-00001154 was never answered. I'd gladly provide any other information that may help debug this. Like I replied in your ticket, I have not been able to reproduce this issue. What we need is a backtrace from you that will hopefully point us to the place where the crash is occurring.